Introduction: In this post, we are going to discuss in my opinion the top 5 Single Board Computers you can buy from Amazon.com. I am going to use a simple Akasoggybunz measuring system to determine the top 5. This list of single board computers vary in size, specifications, limitations, quality and looks. However, in my opinion as of the date of writing this article. These are the top 4 price friendly single board computers that can be bought on Amazon. Of course, must be a single board computer (come on bunz that’s a given.) Meaning has a 4 core SOC (System on Chip). The architecture in this case doesn’t matter, it can be an ARM or x86 chip system. Has good potential project use. So, let’s dig into the contenders. The Asus Tinker board aka SBC Tinker board RK3288 has quite a bit to offer at the price point of $$. Its specs include a Quad Core ARM SOC 1.8 GHz, sporting 2GB of RAM. It also has a t7674 GPU. A surprising feature is that it comes with 2gb of Dual channel DDR3, which you don’t commonly find on Single Board Computers. One thing which makes this bad boy so enticing is you get the security of knowing you are buying one of the leading motherboard and computer component manufacturer’s quality of work when you buy this ASUS SBC. Some other important features hare its Bit lan Ethernet, Wi-Fi with upgradable antenna support, HD Video and Audio. As well as a full array of GPIO pins, 4 USB 2.0 ports and an HDMI output. It would have been nice see USB 3 supported on this bad boy, however without it, this SBC still has a lot to offer. The Odriod is sporting a super slick quad core ARM Cortex-A15 CPU this is a Samsung SOC and it is a quick puppy. Which also has a T628 6 core Mali GPU packed inside. This brings an added benefit if your project requires any image processing or WEBGL, has that is what this GPU specialty is. The Odroid is the most expensive from this list being within the $$$ or $$$$ price range, however with the bad boy you are paying for what you get. The Odroid also has one usb 2.0, 2 usb 3.0, 1 Ethernet jack, HDMI 1.4 an output, 802.11b/g/n, microSD slot, sata port, as well as access to GPIO pins. My beaglebone Black woodflex case best case yet. The BeagleBone black has AM335x 1Ghz ARM Cortex-A8 processor which they claim, can “boot Linux in under 10 seconds and get started on development in less 5 minutes” is also available on Amazon. 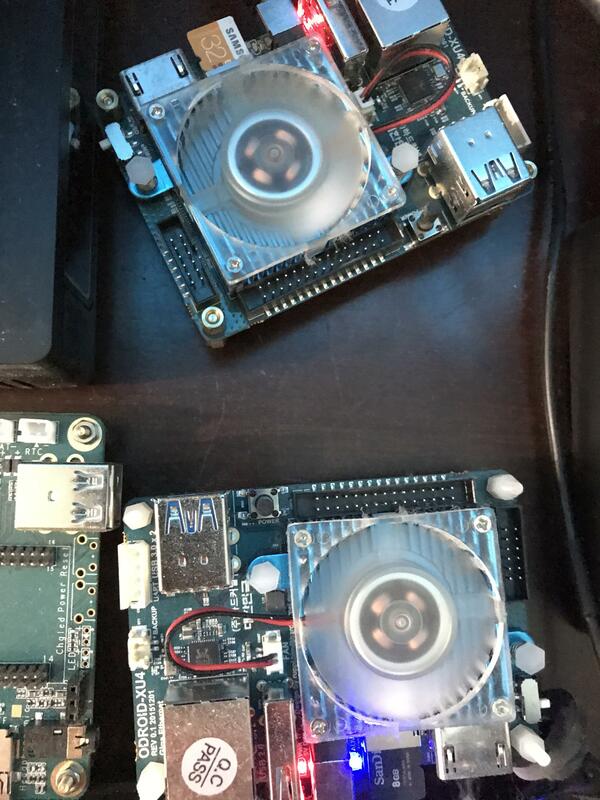 The BeagleBone Black also has 512MB DDR3 RAM, 4 GB 8-bit eMMC on-board flash, 3D graphics accelerator, two PRU 32-bit microcontrollers, USB 2.0, Boot button, 10/100 Ethernet jack, DC power input, LEDS, microSD slot, and of course GPIO’s. Before we mention the Fourth Let’s show case a few honorable mentions. Here is a short tutorial from TinderForWeirdos on imugr for adding a button to a Raspberry Pi 3 Model B. Could you really have a top list of Single board computers without mentioning a Raspberry Pi 3. This bad boy is in the $$ price point but with a lot to offer. 1.2GHz quad-core ARMv8 processor, 1GB of RAM, 802.11n Wireless Lan, and 10/100 Ethernet port, Bluetooth 4.1. 4 usb 2.0 ports, 40 GPIO pins, CSI, DSI, microSD, hdmi out, 3.5mm out, and mini usb input for power. With such a great community and so many different operating systems which you can run on a Raspberry Pi 3 it is a great addition to the list. Conclusion: Here are the top 4 Single Board computers with that won’t break the bank that you can buy on Amazon. With many different specs to choose from it is amazing what the world of SBC’s must offer. Please let me know in the comment section below if you agree or disagree with the 4 I have chosen. Also, if you use one of these SBC mentioned in this post leave a comment, post links, or pictures to your projects I love to see them! I gotta favorite this internet site it seems very useful very beneficial.